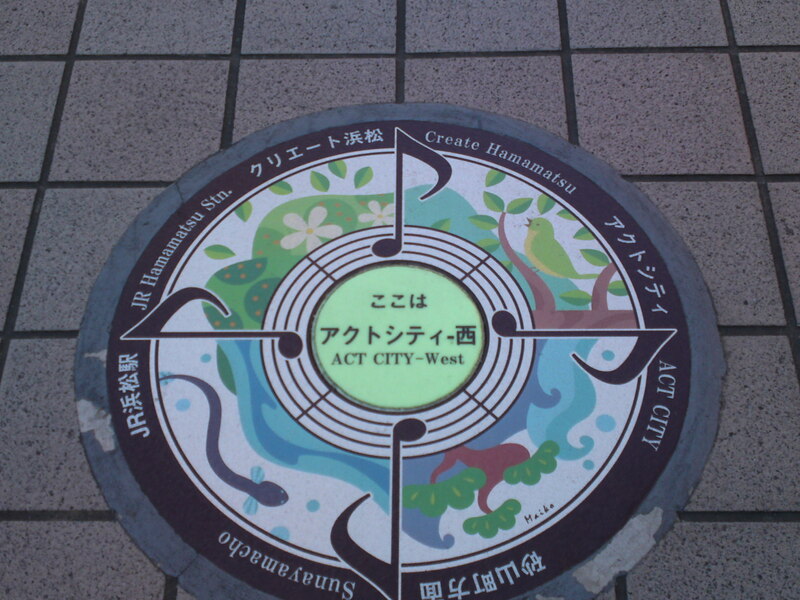 A beautiful design found outside Hamamatsu City JR Station North exist welcoming tourists and commuters to the City! 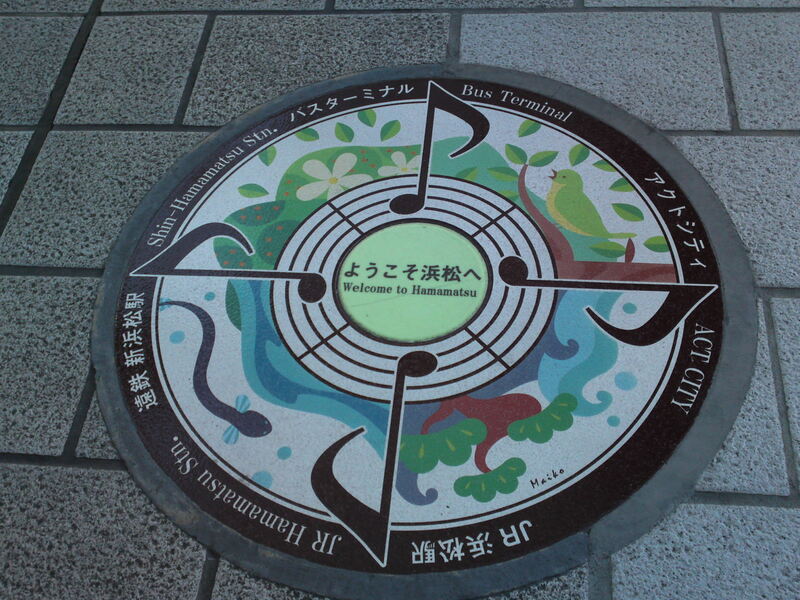 Hamamatsu City has recently applied some sturdy “stickers” on the pavement in front of the North Exits of their JR Station and around Act City Building Complex not only to welcome all visitors, but also to advertise they are in fact the music capital of Japan thanks to the big music instruments makers such as Kawai and Yamaha! 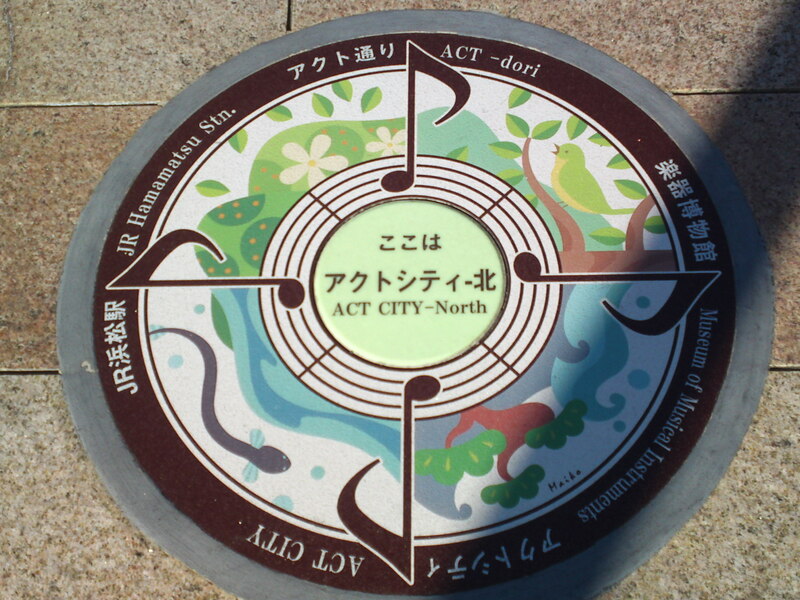 If you look carefully at them you also understand that Hamamatsu City is the home of great flower and garden parks! And last but not least Hamamatsu City gastronomy is famous for its eels! 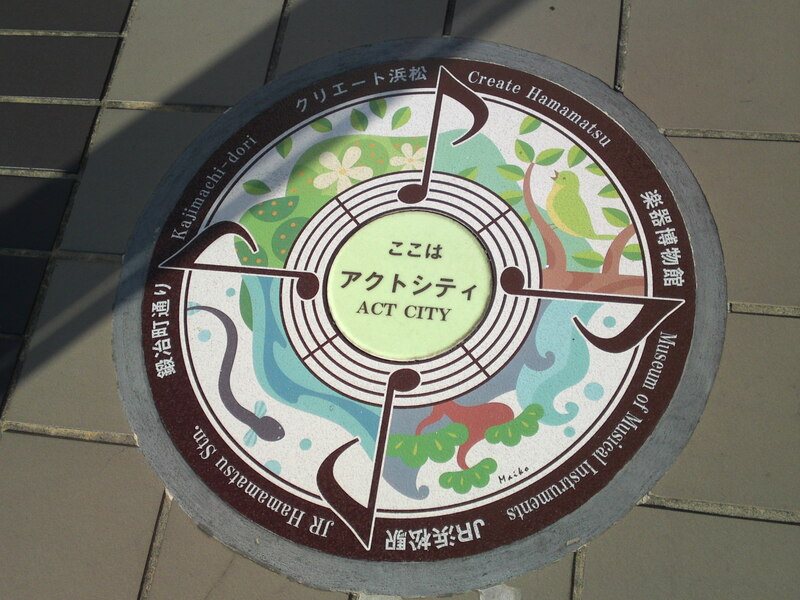 Other cities and prefectures should take heed to promote their tourism!